SCAI THE BATHHOUSE | Exhibitions | Past | Mariko Mori "Tom Na H-iu"
Mariko Mori "Tom Na H-iu"
As one of Japan's representative artists, Mariko Mori works internationally and is currently based in New York, her work featured in numerous solo exhibitions in art museums and galleries abroad. Mori's professional career began in the mid-nineties, attracting attention for photographic works in which she herself features in the futuristic portrayals of young women in Japanese urban settings. This was followed by a shift to a more profound and spiritual perspective, and in recent years Mori has been creating large-scale, highly finished three-dimensional works. Every new work by Mori adds to her reputation. Major solo exhibitions have been held at the Prada Foundation in 1999, the Museum of Contemporary Art Tokyo in 2002, and the University Museum's Koishikawa Annex at the University of Tokyo in 2004. 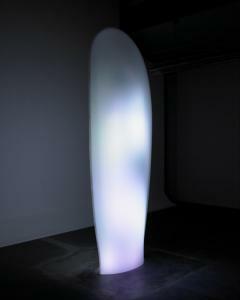 Most recently Mori garnered wide acclaim for her representative work Wave UFO, exhibited at the 2005 Venice Biennale. Tom Na H-iu, both the title of the exhibition being held at SCAI THE BATHHOUSE and the title of Mori's work, denotes a spiritual transmigration site of the ancient Celts. The Celts believed that this was where souls spent considerable time before being reborn. Inspired by legends such as these and by history, in which people in ancient times constructed "standing stone" monuments in many different locations, Mariko Mori has created a new monument for contemporary times to symbolize life and death. 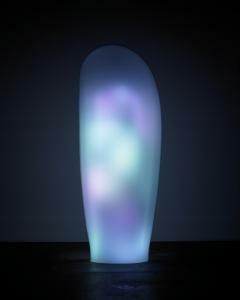 Tom Na H-iu is a three-dimensional glass work almost 3 meters in height. It is networked to the Super Kamiokande neutrino observatory operated by the Institute for Cosmic Ray Research, University of Tokyo, enabling it to interact and respond when the observatory captures a neutrino. On detecting a neutrino, such as those emitted by stars in our galaxy as they die in supernova explosions, Mori's work emits beautiful light. 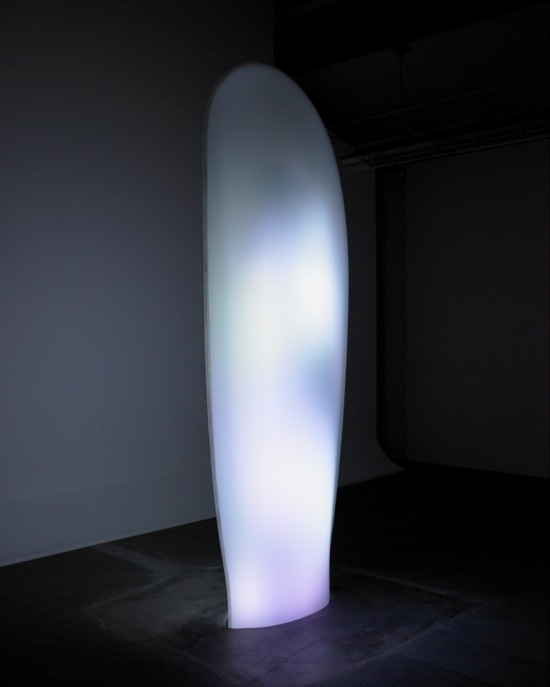 Tom Na H-iu represents a modern standing stone that conveys the death of a star, meanwhile hinting at the birth that follows - as if to suggest to the viewer that our existence is in resonance with the universe. When we view this work that emits peaceful light amidst darkness, we can project ourselves into the darkness and gain a sense that we are standing quietly in the flow of eternal time. 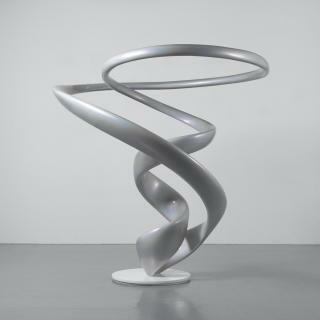 It has been some time since Mariko Mori unveiled a work of this scale in Japan, but Tom Na H-iu is certain to enhance her reputation further.